CareScope facilitates a community-focused approach to continuity of care for the indigent population by providing access, care, services and case management. The websites creator or author is Mark Larsen. The web server used by Carescope.net is run by digitalmediaone.digitalmediaone.com and is located in Houston, USA. 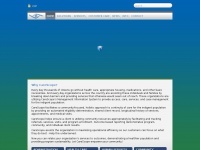 The server runs exclusively the website Carescope.net. A Apache server hosts the websites of Carescope.net. For managing the data of the webpages the CMS Joomla! in the version 1.5 is used. XHTML 1.0 Transitional is used as markup language on the webpages. To analyze the visitors, the websites uses the analysis software Google Analytics. Indexing the data of the website and following hyperlinks on it is explicitly allowed by robot information.